Upper Midwest Signs & Wonders Camp. Signs and Wonders Camps through IHOP were created to equip, empower, and release children as young forerunners that live in whole-hearted devotion to God. 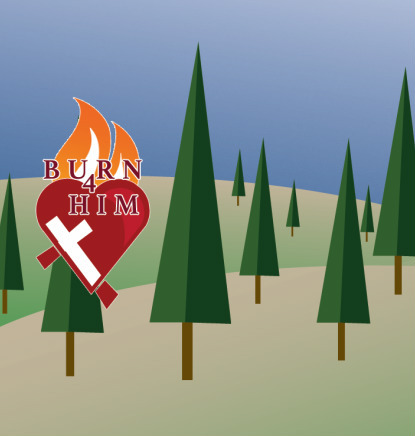 Please join us August 4-8, 2019 for the 10th Annual Burn4Him Camp for children ages 8-12 and youth ages 13-17 (or thru high school grads) on the beautiful grounds of Lake Geneva Christian Center in Alexandria, MN. Specific information and registration forms for Camp 2019 are available at Burn4HimCamp.org. Inquiries or for additional information regarding Upper Midwest Signs & Wonders Camp and Burn4Him Camp should be directed to Pastor Tina Finley at deeperstillkids@yahoo.com or call 952-545-2326 Ext. 12. For more information on Signs and Wonders Camps contact www.ihopkc.org/cec/camps. Then look at Regional Camps.